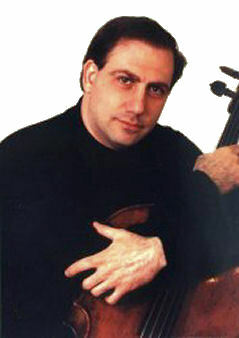 A native of Chicago, cellist Kevin Hekmatpanah has presented hundreds of solo and chamber performances throughout the country, including concerts at the Piccolo Spoleto Festival in Charleston, the Dame Myra Hess Concert Series at the Chicago Cultural Center, the Society of the Cincinnati Artist Series in Washington D.C., the Sitka Music Festival, the Lower Makefield Performing Arts Society in Pennsylvania, the Camerata Musica Concert Series in Salem, Oregon, and the Kirkland Performance Center in Seattle. Additional recitals include appearances at the Princeton Music Club, the Cheekwood Museum of Art in Nashville, the Hornby Island Recital Series in Victoria, B.C., the Duck Creek Cello Festival in Utah, the Bing Performing Arts Center in Spokane, the John Addison Cultural Arts Recital Series in Washington D.C., Daniel Recital Hall in Seattle, the Lake Chelan Bach Feste, the Cutter Theatre, the Battelle Auditorium as well as the Merc Playhouse Theatre. He has also presented concerts of the complete works for Cello and Piano by Beethoven and over twenty cycles performing all Six Bach Suites. He has made over one hundred and twenty solo concerto appearances with various ensembles, including the Chicago Chamber Orchestra, the Richmond Philharmonic, the Pueblo Symphony, the Kingsport Symphony Orchestra, the Middle Tennessee Symphony, the Oregon East Symphony, the Salisbury Symphony Orchestra, the Chamber Orchestra of the Springs in Colorado, the Southern Arizona Symphony, Gulf Coast Symphony, and the Vashon Chamber Orchestra. Additional concerto engagements have been with the Boulder Chamber Orchestra, Coeur d’Alene Symphony, the Grande Ronde Symphony, the Timberline Symphony, the Berrien Springs Symphony, the Cascadia Summer Festival Orchestra, the Mc Call Chamber Orchestra, Spokane Falls Orchestra, the Woodlands Orchestra and the Okanogan Valley Orchestra. Outside North America, he has performed concertos in Moscow and St. Petersburg, Russia, in Stockholm, Sweden, and at the home of Edvard Grieg in Bergen, Norway. He also appeared as soloist with the Vidin Philharmonic Orchestra in Bulgaria. He recently presented recitals in Tromsø, Norway and the Para XXV International Music Festival in Brazil. Mr. Hekmatpanah has released a compact disc recording containing cello sonatas by Franck, Debussy, and Chopin. He has won several competitions and awards, including prizes in the Beethoven Club Young Artists’ Competition, the Virginia Chapter of the National Society of Arts and Letters Competition, the Brentwood-Westwood Concerto Competition, the Fort Collins Concerto Competition, and the Montpelier Cultural Arts Solo Competition. Deeply committed to teaching, Mr. Hekmatpanah is a Professor and chair of the music department at Gonzaga University, where he has taught since 1994. He is currently a member of the Spokane Symphony Orchestra. He has previously served on the faculty of MTSU and has taught cello at the Governor’s School for the Arts. He has served on competition juries, and he has presented master classes and clinics throughout the country. In addition to being the first cellist to earn a DMA from the Peabody Conservatory of Music, he also holds a MM from Indiana University and a BM from the University of Southern California. His teachers have included such nationally renowned pedagogues as Stephen Kates, Fritz Magg, and Gabor Rejto, and he has received coachings from such internationally celebrated artists as Yo-Yo Ma, Lynn Harrell, and Janos Starker. 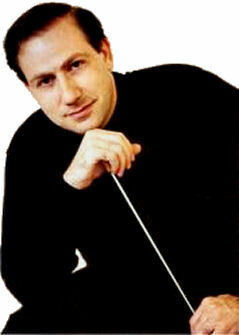 As a conductor Kevin Hekmatpanah has served as the Music Director of the Gonzaga Symphony Orchestra for twenty seasons. In this capacity he has performed a large portion of the standard repertoire for orchestra, as well as premieres of new music. He has collaborated with such artists as soprano Arianna Zukerman, violinists Kurt Nikkanen, Kyung-Sun Lee, Giora Schmidt, Tim Fain, Jin-Joo Cho and Elmira Darvarova, pianists Awadagin Pratt, Simone Dinnerstein, Navah Perlman, and Natasha Paremski, and cellists Daniel Gaisford and Amit Peled, among others. He has also organized and presided over the Young Artists’ Concerto/Aria Competition, which gives the opportunity for young musicians to present a concerto with the ensemble. Mr. Hekmatpanah was also the Music Director of the Okanogan Valley Orchestra and Chorus in Omak, Washington for five seasons. The orchestra received a grant from the National Endowment for the Arts to commission a world premiere for the new century. He has also appeared as guest conductor of the North Idaho Symphony, the Oregon East Symphony, the Festival of the Arts in 1995, 2001, 2006, and 2010; and he is actively sought after to direct workshops and adjudications for various ensembles. This is his fifteenth season as the Music Director for the Project Joy Orchestra in Spokane. Mr. Hekmatpanah studied conducting with David Itkin while a Masters Student at Indiana University, and he attended the Conductors Institute of South Carolina, where he received coaching from Kirk Muspratt, Gisele Ben-Dor and Paul Vermel among others.